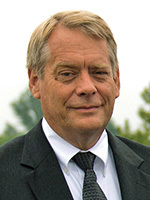 Vice President Jim Mason is a member of HSLDA’s litigation team, which helps homeschool families who are facing legal challenges. He and his wife homeschool. Okay, so that’s not exactly what she said, but close enough. CPS had received an anonymous report that the inside of John and Tiffany Loudermilks’ home had missing stair rails and exposed wiring. A social worker asked to see inside, and the Loudermilks at first agreed to an appointment—scheduled for a month later—then changed their mind because they felt strongly that they had a right to privacy in their home. Another month went by, and the first CPS worker called in sick. Her supervisor, Rhonda Cash, had planned to be in the area anyway, so she decided on the spur of the moment “to hit” the Loudermilks’ home. Six deputies and numerous threatening comments later, she issued the ultimate threat—let us in right now or we’ll take your kids into custody. She said this in front of the Loudermilks’ children, who had been brought to the door so Cash could see that they were well cared for. We couldn’t understand why [the Loudermilks] made such a big deal out of such a very small thing in the sense we could have been in and out of the home quickly, seen the allegations weren’t true, and instead of that, it turned into a drawn-out affair. HSLDA sued Rhonda Cash on the Loudermilks’ behalf in part to help her understand why threatening innocent families in their homes is “such a big deal.” And—in the bigger picture—to put an end to these big-bad-wolf tactics. The trial court said that the case could go to trial, but the United States Court of Appeals for the Ninth Circuit disagreed. Why, you ask? Because, said the court, the Loudermilks were able to get their HSLDA attorney on the phone, which meant that Cash was entitled to believe that their consent was voluntary. My motto in every case we take is to win early and win often. But sometimes losing at one level presents an opportunity to achieve an important goal at a higher level. We have asked the United States Supreme Court to take this case, which has the potential to finally end—in every state—the tactic of threatening to remove children to gain “consent” for government officials to invade private homes. The Court will decide whether or not to take our case on September 28, 2015, the first day of the new term. Please pray that the Court will agree to hear this important case. Every year, many thousands of children are subjected to similar unjustified tactics, and a Supreme Court case could change that for the better. Join HSLDA. Preserving our liberty is a team sport and we need you to stand with the Loudermilks. 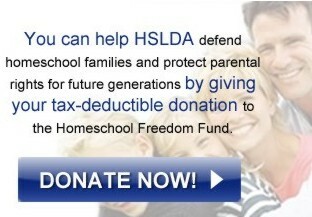 Donate to the Homeschool Freedom Fund. Your tax-deductible gift will help us to take more important liberty-preserving cases like this one. Thank you for standing with the Loudermilks and for liberty.